For demanding applications where highly flexible, impact resistant bonds are required, Master Bond developed Polymer System EP37-3FLF. This optically clear, two component epoxy has exceptional resistance to cryogenic temperatures and severe thermal cycling. Its low exotherm also makes it a superb potting, encapsulating and casting system, especially where wider cross section thicknesses are specified. Its unique combination of properties allows it to cure without stressing delicate electronic components. Serviceable over the wide range of 4K to 250°F, EP37-3FLF cures at room temperature in 2 to 3 days or faster at elevated temperatures. This epoxy offers a convenient, non-critical 1 to 1 mix ratio by weight or volume, and a low mixed viscosity of 1,400 to 1,500 cps. 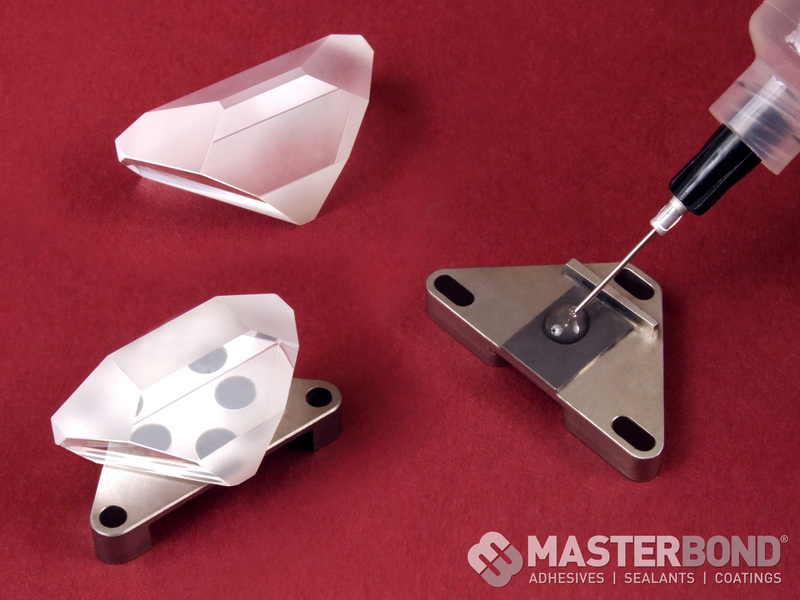 Additionally, users can work with a 100 gram mass of the adhesive at room temperature for up to 90 minutes. EP37-3FLF has a bond shear strength exceeding 2,000 psi and a T-peel strength of 25 pli. This flexible epoxy has an elongation of 180% and superior electrical insulation properties with a volume resistivity of 1x1014 ohm-cm. It bonds well to a variety of substrates including metals, glass, ceramics, rubbers and many plastics and is widely used in the optical, electrical, electronic, computer and OEM industries. EP37-3FLF is sold in pint, quart, gallon and 5 gallon container kits and has a 6 month shelf life if unopened and stored at room temperature.